6711 Wandermere Road Malibu, CA. | MLS# 16167932 | Cormac and Wailani O'Herlihy | Sotheby's International Realty | Luxury Malibu Beach Homes. Enjoy this Pt. 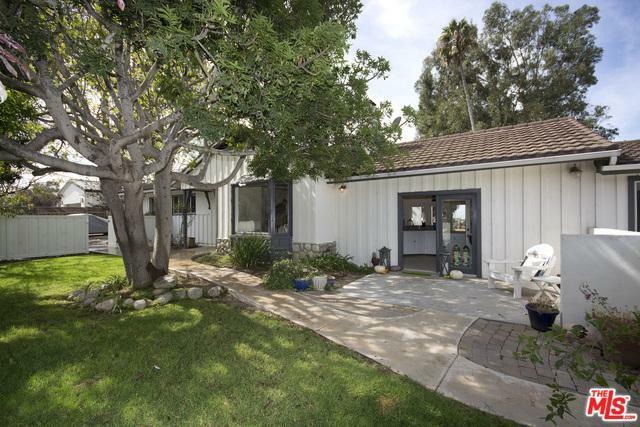 Dume 3 bed/ 2 bath home on mostly a flat and usable acre with some ocean views. The property Includes a beautiful swimming pool, hot tub, water fall, water slide, and fire pit. There is a large family room off of the kitchen. A great living room with bay windows and a built in office nook. Enjoy outdoor patios and large grassy backyard with a sports court, dog run, and storage sheds. There is an additional 2 bedroom/2 bath guest house with its own secured entrance. Walking distance to Pt. Dume shopping center. Access to beach by public access only. Tenant occupied, therefore notice to show in advance is appreciated.